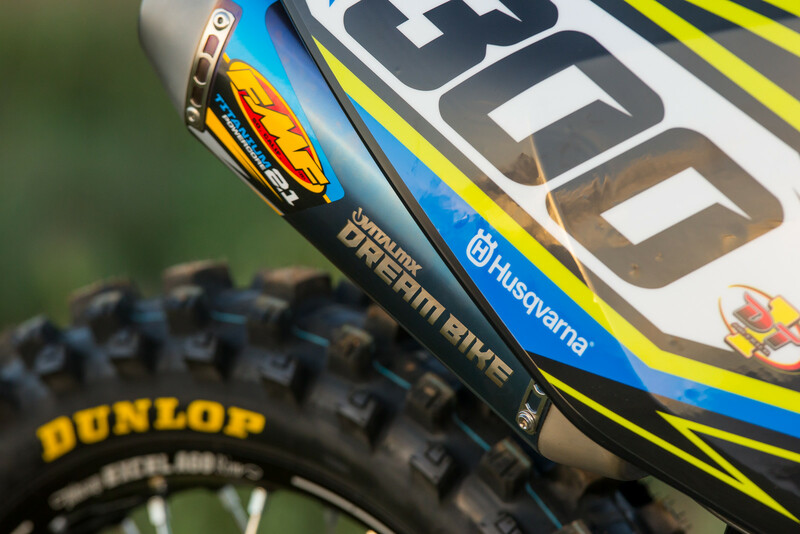 Sign up for chance to win a brand new, customized 2017 Husqvarna TC 300 from Vital MX...best of all it's free to enter! TC 300 MILLENNIUM TECHNOLOGIES BIG BORE VALUED AT OVER $18,000! Drum roll please! It's time to enter for your chance to win this amazing 2017 Husqvarna TC 300 (a TC 250 bored to 295cc). Thanks to a lot of great brands, we have the opportunity to give away our Dream Bike! Scroll below for the details of the contest, who got involved, some beauty shots of the machine, and how to sign up (the link is down there). Brought to you by Boyesen Engineering and FMF Racing. 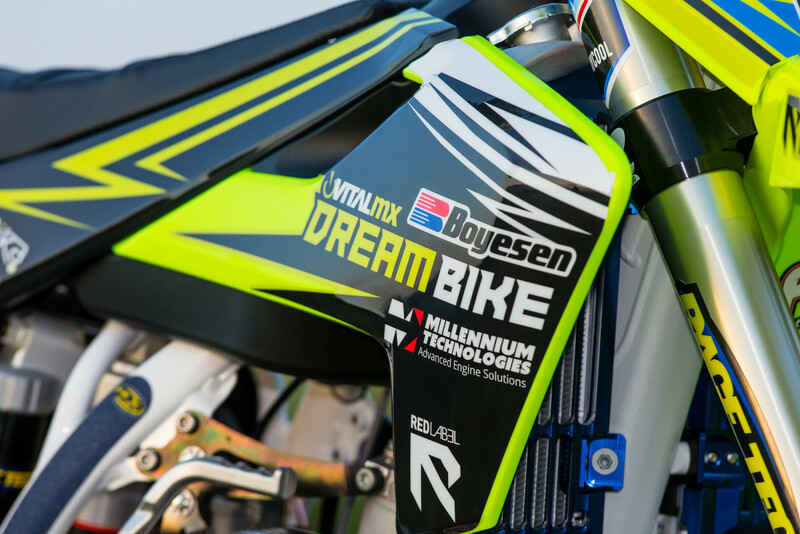 Enter the 2017 Vital MX Dream Bike contest brought to you by Boyesen Engineering and FMF Racing! Signup for your chance to win a fully loaded 2017 Husqvarna TC 300, and also be eligible to win over $2,000 in monthly prizes from the best brands in MX. 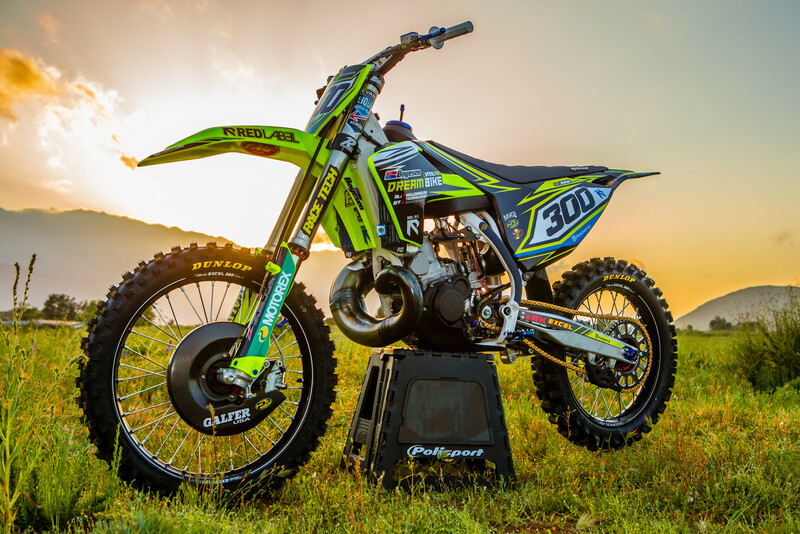 Boyesen and FMF Racing both headline the 2017 Vital MX Dream Bike contest and have collaborated with other powerhouse brands to bring an awesome lineup of prizes directly to YOU each month! The 2017 Vital MX Dream Bike Contest lasts 4 months, leading up to the Grand Prize drawing to be held on July 31 st , 2017. In addition to the Grand Prize drawing, each month one winner will be randomly selected to win some of the best aftermarket and gear products available today. All monthly and grand prize winning entries will be announced first on Boyesen’s Facebook and IG accounts. Visit http://www.boyesen.com/vitalmxdreambike.php for your chance to win! CUSTOM 2017 HUSQVARNA TC 300 BIG BORE (1) WITH ACCESSORIES! 295cc Big bore kit from Millennium Technologies, along with tuning, porting and engine assembly (TC 300 kit). 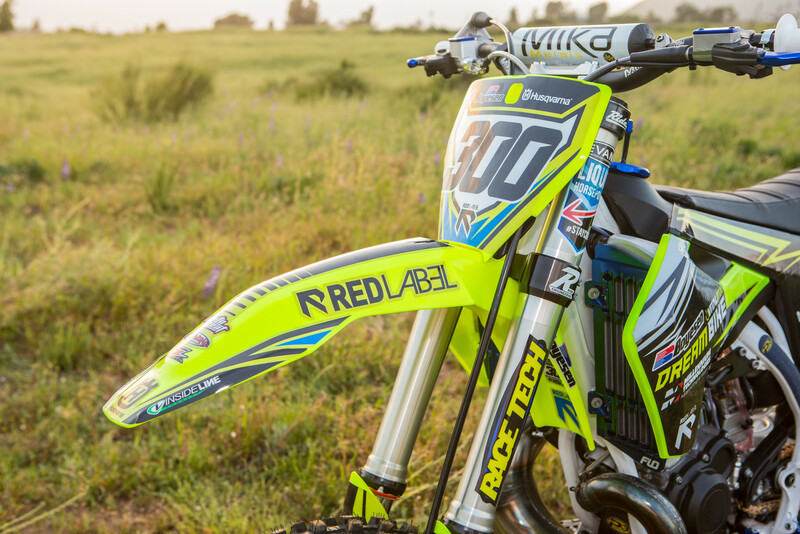 Red Label custom graphics kit. FMF 2.1 titanium shorty silencer with works pipe. Polisport black and flo-yellow plastic kit. Boyesen clutch cover and RAD valve (reed cage). Galfer oversized 270mm front brake rotor kit. P3 Composites skidplate and front brake rotor cover. RK chain and Excel A60 rims. Faster USA billet aluminum hubs (custom magnesium color). Ride Engineering black triple clamps, bar mount, and linkage. Race Tech re-valve and re-spring fro winner's weight, speed, and style. Flo Motorsports billet pegs and radiator guards. Zeta billet engine plugs, axle blocks, folding levers, brake pedal, shift lever, and gas cap. DT-1 Air filter and air filter cage. Dunlop MX3S 80/100-21 and 110/90-19 tires. The grand prize also includes a Bell Moto 9 Flex helmet, EKS Brand goggles, EVS Protection, and an ALiAS gear set of your choice. As always…your privacy is important to us and will be protected at all times. When is the first drawing? Not sure if I'm really signed up. I don't have Facebook, Instagram, or Twitter. Free really isn't free...but I get it....money has to come from somewhere. This is street legal in CA right? Like said below, is social media part of the deal? I didn't see an asterisk next to the boxes, but wonder if it's a deal breaker since you're not promoting these companys basically? I LOVE 2 STROKES !!! Can they put my number on it and the coatings on the forks? It would be a great replacement for my YZ250. This bike is unreal!! Great contest, I'm in! The bike is so tricked out!! It is Sick!! Love to be twisting the throttle on that amazing machine. Surely we can enter as Europeans as long we agree to pay all Shipping & Tariff costs? I don't know anyone in the US whose address I could use. If you can come up with a US or Canadian address to go through, you can enter. You'll just be responsible for any shipping and tariff/tax costs. I entered i think? im in australia? is it in the Ts&Cs?